Townend House stands about three miles east of Ambleside, in what must be one of the most beautiful parts of the Lake District. 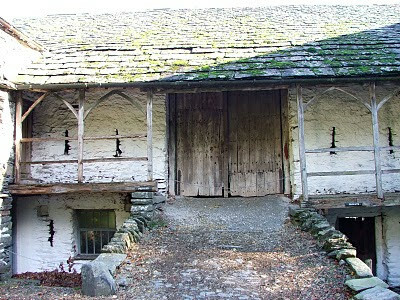 The village of Troutbeck stretches along the Eastern side of the valley from Wansfell Pike, and consists of a number of traditionally built Lake District slate houses. Townend is said to be an excellent example of a virtually unchanged early 17th century 'yeoman's' house, and, owned by English Heritage, is open to explore. Built in 1626, possibly on the site of an earlier house, some of the walls are exceptionally thick, suggesting that this may have been a fortified house at some time.....or the walls could just be thick to support the five huge Westmorland chimneys!! 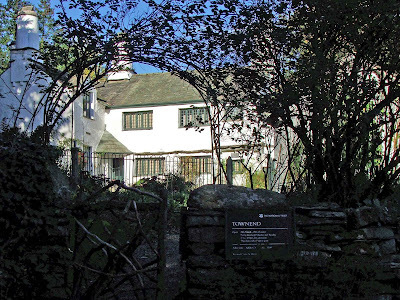 It was built by George Browne as a family home, and surprisingly has survived pretty much intact and unchanged for the past 384 years. 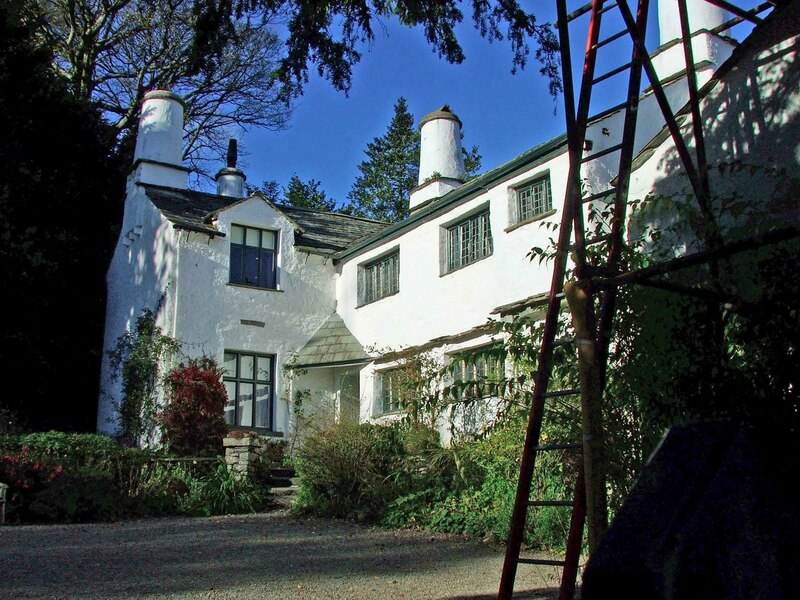 It seems that this incredible survival has given this family home a second lease of life with English Heritage. The North and South West wings probably date from the latter part of the 17th century...so George Browne's house would have been slightly smaller than we see today. Over the other side of the road is the Grade II listed barn, probably dating from 1666 (or so a date panel would inform us) The barn is probably overlooked by most people, making their way to check out Townend House, but I would recommend a good look at this mid 17th century building. It consists of two wings either side of a central two storey section. 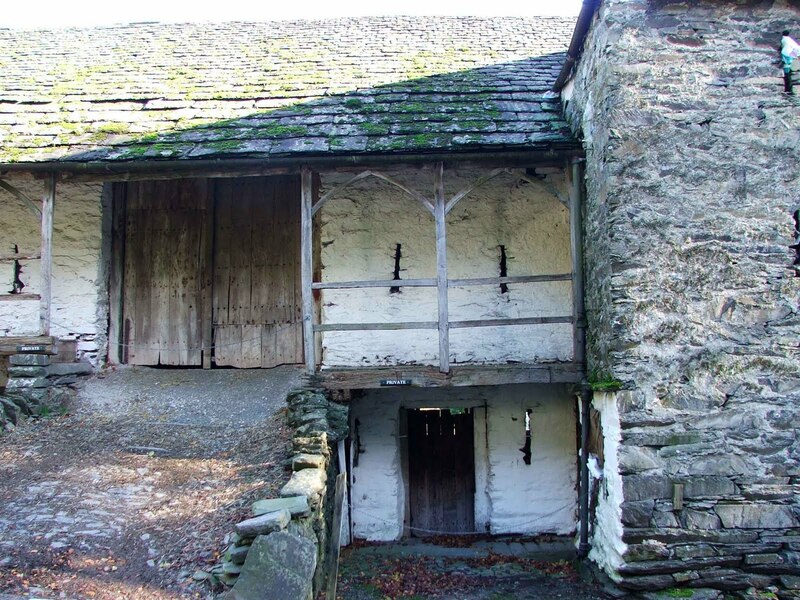 There are shippons below and lofts above, with a beautiful, probably original, wooden gallery at the front. 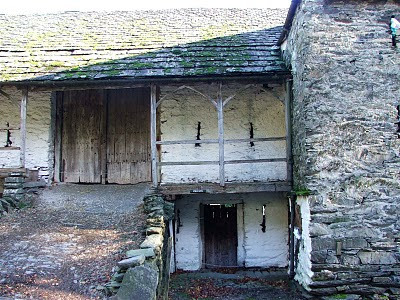 Apparently the interior has an original queen post roof, consisting of a simple horizontal beam laid from wall to wall, with two vertical beams then supporting a higher horizontal beam, upon which the sloped roof sits. 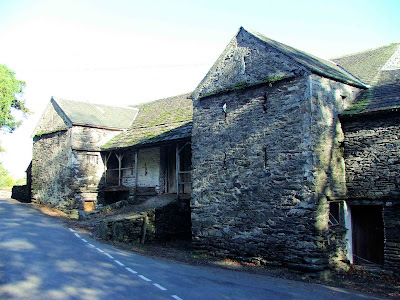 The village of Troutbeck is certainly worth a visit, and the nearby Jesus church is a must.